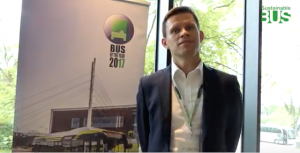 Following, our 3nd report about Ebus test 2018, held in Bonn in October 2018. 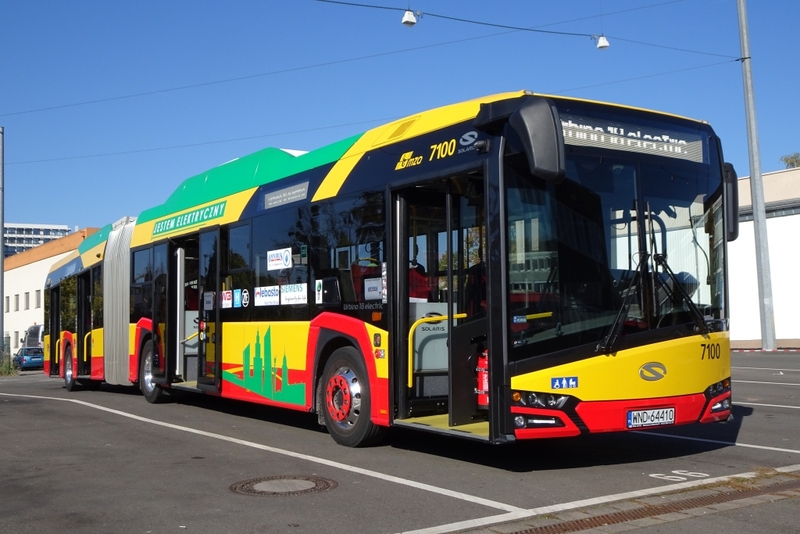 In this third article we focus on the Solaris Urbino 18 Electric, one of the three contenders. You can click HERE for the introduction and HERE for the overview on the Sileo S 18. 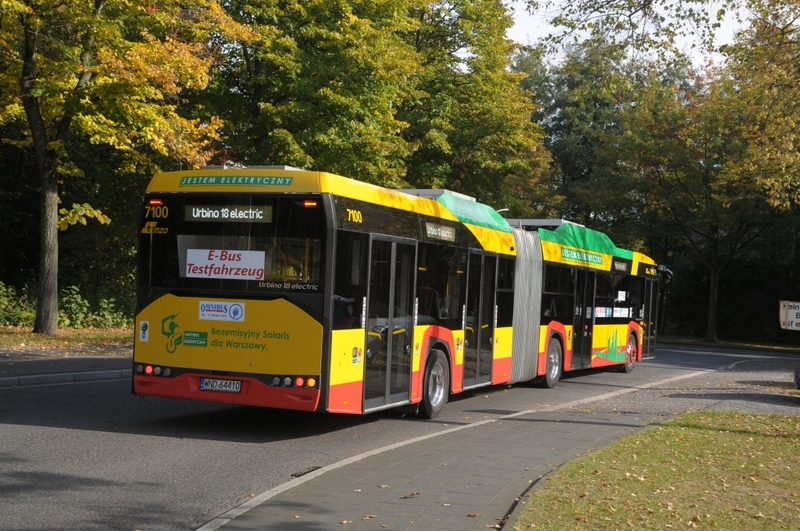 The Solaris Urbino 18 electric which took part to the Ebus Test 2018 came from Warsaw (Poland). 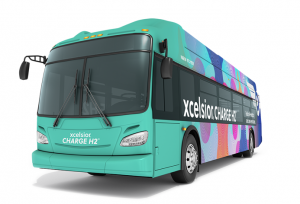 The electric bus had already travelled around 18,500 kilometers and features the electric axle ZF AxTrax with in wheel electric motors for a total output of 250 kW. 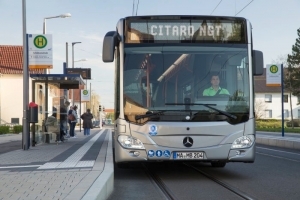 The electric axle (adopted also by Mercedes for the electric bus eCitaro) is not the only choice available: the Urbino electric can be equipped also with an asynchronous central electric motor (160 kW for the 12-metre, 240 kW for the 18-metre) realized by the Austrian based company TSA (Traktionssysteme Austria), the same motor mounted by Solaris on the Trollino trolleybus range. Pros and cons of the two solutions? 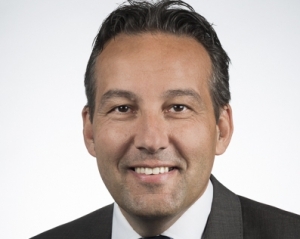 The electric axle would be more efficient (saving measured in the range of 0.1 – 0.2 kWh per kilometer), but also less easy with regards to repair and maintenance operations. 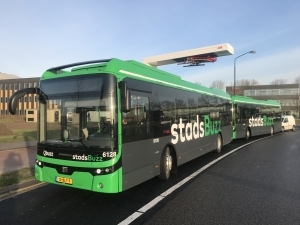 The Solaris Urbino 18 Electric featured Solaris High Energy batteries, with a nominal capacity of 300 kWh (reduced to 240 when it comes to usable energy). The batteries are divided into six modules, all on the roof: three between the first and second axles, and three on the rear. The formula? NMC (lithium-nickel-manganese-cobalt), which in Solaris’ strategies has taken the place of LFP (lithium-iron-phosphate). Moreover, NMC represents the current standard of most of the manufacturers. The main quality is the high energy density (147 Wh per kilogram), which allows longer range. Customers, anyway, can also choose the most expensive Solaris High Power batteries, based on LTO (lithium titanate) cells provided by Toshiba. In this case, energy density is lower (117 Wh per kilogram) but, on the other hand, energy can be “absorbed” faster. High Power batteries are the best choice for routes equipped with fast charging stations on the line or at the end of the line. In any case, the batteries’ lifespan is around 3,300 complete recharging cycles. 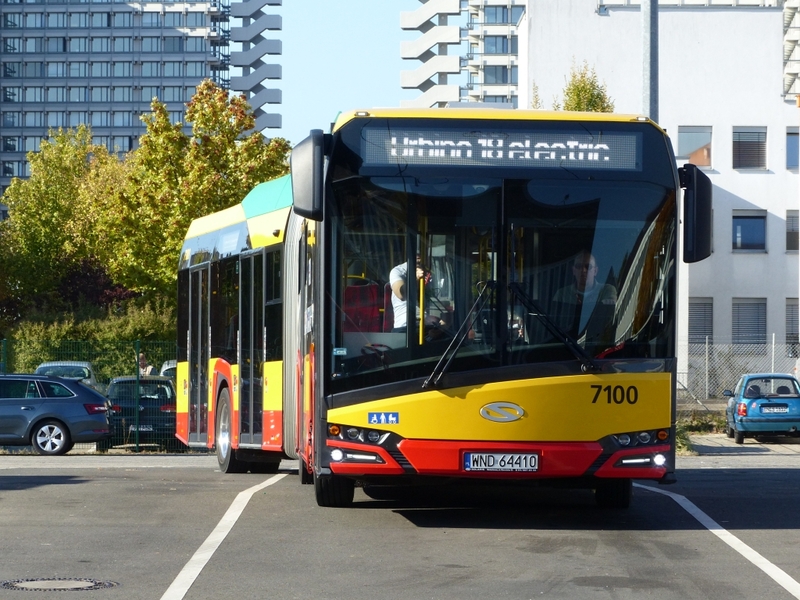 The articulated electric bus deployed by MZA Warsaw is equipped with a shunk pantograph on the roof. On board there is room for 42 seated people. Added 78 standing places, the total capacity is 120 people. That means 10 – 15 less compared to the Urbino 18 powered by diesel. There are four access doors, all double and 320 mm high from the ground. Taking a look at the driver’s seat, the dashboard is entirely digital, with touch screen (optional). 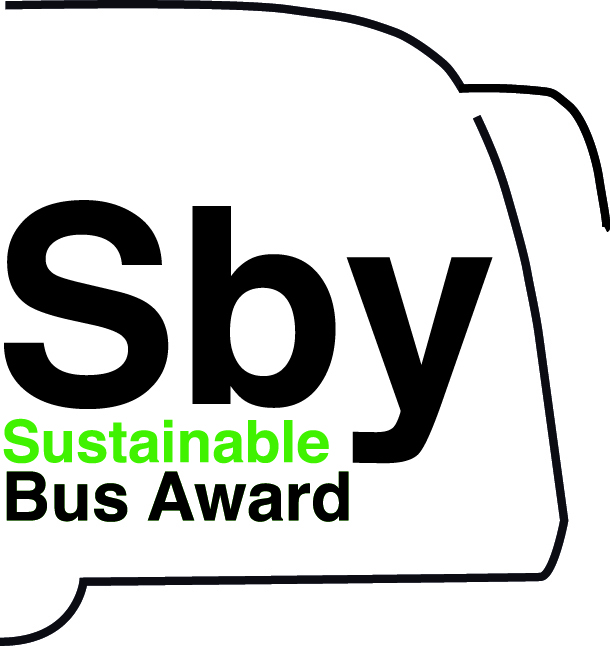 And the driver’s position received a highly positive rating from the team of journalists who took part to the Ebus Test with regards to spaciousness, switches position, front and side visibility. The Urbino has also been awarded a good mark in terms of manoeuvrability, driving comfort and starting behavior. The heating is hybrid, composed by diesel heat pump and electric boiler (37 kW). 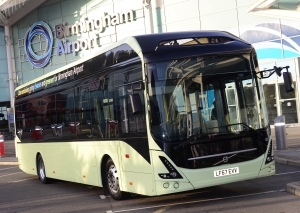 The pre-heating system can be activated by the driver at the end of the service: in this way, during the overnight period in depot, not only the batteries are completely charged, but also the temperature inside the bus is raised so that at the beginning of the service it’s not necessary to burn a lot of diesel for heating the cold interiors. 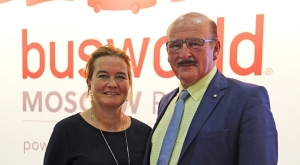 The diesel heat pump remains necessary in cold climates: MPK Krakow, which has a fleet of 26 Solaris electric buses, declared that in January, on average, each bus needs about 7 liters of diesel every 100 kilometers. 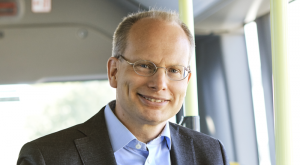 The Solaris Urbino fuel cell, whose launch is scheduled in 2019, will feature the CO2 heat pump by Konvekta.